Eberhard and Renate Bethge named their son after Dietrich Bonhoeffer. In May of 1944 Dietrich Bethge was to be baptized. From prison Bonhoeffer wrote a baptismal homily for little Dietrich, just as he had written a wedding homily from prison for Eberhard and Renate's wedding. Our church, which has been fighting in these years only for its self-preservation, as though that were an end in itself, is incapable of taking the word of reconciliation and redemption to mankind and the world. Our earlier words are therefore bound to lose their force and cease, and our being Christian today will be limited to two things: prayer and righteous action among men. 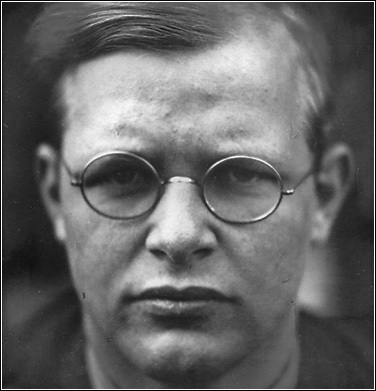 When we think about Bonhoeffer's religionless Christianity one of the concerns often expressed is that Christianity will be stripped clean of any arcane religious ritual and be reduced simply to prosocial ethical behavior, what Bonhoeffer calls in his homily "righteous action among men." No doubt this is a large part of what Bonhoeffer is trying to do. As we've seen, he is striving to create a this-worldly spirituality characterized by "being there" for others. But in his baptismal homily Bonhoeffer cites two characteristics of Christianity: prayer and righteous action. This pair is a bit puzzling. Where does prayer, of all things, fit in with a religionless Christianity and a this-worldly spirituality? Isn't prayer and worship the epitome of other-worldly religious ritual? These questions bring us to the third phrase that reoccurs in the theological letters: "arcane discipline." We've already discussed the first two phrases--the world come of age and religionless Christianity--as they swirl around the central question of the letters: Who is Christ for us today? So, what is this "arcane discipline" and how does it relate to everything we've already discussed? During the last year or so I've come to know and understand more and more the profound this-worldliness of Christianity. The Christian is not a homo religiosus, but simply a man, as Jesus was a man...I don't mean the shallow and banal this-worldliness of the enlightened, the busy, the comfortable, or the lascivious, but the profound worldliness, characterized by discipline and the constant knowledge of death and resurrection. We can see in these remarks Bonhoeffer's worry that a religionless, this-worldly Christianity would become shallow and banal, a spirituality for the "enlightened" (and I read this as a reference to modernity, humanism, and the Enlightenment), the busy, the comfortable and the hedonistic. So how do we prevent this shallow banality? Bonhoeffer speaks of a spirituality "characterized by discipline." But what does this mean? How do we speak (or perhaps we cannot now even "speak" as we used to) in a "secular" way about "God"? In what way are we "religionless-secular" Christians, in what way are we...those called forth, not regarding ourselves from a religious point of view as specially favored, but rather as belonging wholly to the world? In that case, Christ is no longer the object of religion, but something quite different, really the Lord of the world. But what does that mean? What is the place of worship and prayer in a religionless situation? Does secret discipline...take on a new importance here? We see here how Bonhoeffer is struggling with the role of worship and prayer in his "religionless-secular" Christianity. And he calls worship and prayer the "secret" or "arcane" discipline. So that is what we are talking about, the "discipline" of Christian worship, prayer, and the reading of the Word. Given this understanding, we can see Bonhoeffer's struggle. Wouldn't these disciplines import other-worldliness back into the faith? Wouldn't these activities make Christ an "object of religion," the very thing Bonhoeffer is pushing against? Rather than following Christ into the world where he is "Lord" we would end up praying to and worshiping Christ as an other-worldly religious object. That's a problem. Then and now. And yet, we see Bonhoeffer wonder if the disciplines of worship and prayer might take on a "new importance" in his vision of a religionless Christianity. And above we got a hint of what this might involve. Perhaps these disciplines might help keep spirituality from becoming banal and shallow. It is not with the beyond that we are concerned, but with this world as created and preserved, subjected to laws, reconciled, and restored. What is above this world is, in the gospel, intended to exist for this world; I mean that, not in the anthropocentric sense of liberal, mystic pietistic, ethical theology, but in the biblical sense of the creation and of the incarnation, crucifixion, and resurrection of Jesus Christ. Barth was the first theologian to begin the criticism of religion, and that remains his really great merit; but he put in its place a positivist doctrine of revelation which says, in effect, "Like it or lump it": virgin birth, Trinity, or anything else; each is an equally significant and necessary part of the whole, which must simply be swallowed as a whole or not at all. That isn't biblical. There are degrees of knowledge and degrees of significance; that means that a secret discipline must be restored whereby the mysteries of the Christian faith are protected against profanation. The positivism of revelation makes it too easy for itself, by setting up, as it does in the last analysis, a law of faith, and so mutilates what is--by Christ's incarnation!--a gift for us. In the place of religion there now stands the church--that is in itself biblical--but the world is in some degree made to depend on itself and left to its own devices, and that's the mistake. We see here an attempt by Bonhoeffer to protect the Christian disciplines from "profanation." What does that mean? Well, what tends to happen with all this religious ritual (worship and prayer) and metaphysical doctrine (Bonhoeffer mentions the virgin birth and the Trinity) is that it gets packaged and then forced onto the world in an evangelistic "like it or lump it" fashion. Much as if you were making a sales pitch to someone. Bonhoeffer often uses the word "propaganda" to describe this. Here's the product! Buy it all (the whole thing, all doctrine and rituals) or walk away. Like it or lump it! Bonhoeffer recoils at this for two reasons. First, there are "degrees of knowledge and degrees of significance." When we "sell" the faith to outsiders a lot of what we are selling is pretty hard to swallow. So while many people might be attracted to the faith if we insist on a "take it all or take nothing" we'll put them in a very bad position. A "like it or lump it" situation. And this would be sad because a lot of what the person might be rejecting isn't all that important. Again, there are "degrees of significance." Is the virgin birth, or the Trinity, or your theology of the end times really all that significant? That is, do they encourage you to "be there" for others in the world? Maybe they do, maybe they don't. Maybe we simply have different "degrees of knowledge" about these doctrines. Maybe I find the doctrine of the Trinity profound and motivating. Maybe you see it as a paradoxical bit of metaphysical nonsense. Bonhoeffer seems to think such differences are to be tolerated. No lump it or leave it. So are these rituals and doctrines simply optional? I don't think Bonhoeffer wants to say that. Rather, he wants to avoid a "positivist" account of faith. And this goes to the second reason Bonhoeffer recoils at the "lump it or leave it" presentation of faith. But what does Bonhoeffer mean by "positivisitic"? I think he is referring to how Christians present their faith-claims as axiomatic and self-evident. And in making the creeds "self-evident" they have been hollowed out and profaned. Basically, they have become packaged and merchandised. In wanting to "sell" the faith to outsiders we've make the gospel too available, as in "common" and "profane." We've turned it into a sales pitch. The problem with this is that the Christian faith isn't all that available or self-evident. The virgin birth isn't self-evident or "available" to the modern mind. So let's stop pretending that it is, that it can be sales-pitched to our neighbors. So how to we protect against this? Bonhoeffer recommends that we ground these rituals and doctrines in mystery. Mystery keeps the faith from becoming too available, too commercialized, too marketable, too self-evident, too easy to talk about, too amenable to the evangelistic sales pitch. Prayer exists, as Bonhoeffer indicated in his baptismal homily for Dietrich Bethge, to help sustain "righteous action among men." Prayer is a discipline that sustains us in our "being there" for others. How it does this is a mystery. It is not self-evident. It is only experienced as a gift. And if you, a skeptic or a new Christian, don't get that, well, that's okay. Because, in point of fact, you'll never see me pray. It's a secret discipline. All you'll see, on the outside, is my being there for you. The point, for Bonhoeffer, is that when the rituals and doctrines of the faith become too available we begin to import other-worldliness into the faith. "Converting" to Christianity then becomes about believing certain metaphysical doctrines and practicing certain religious rituals. That is, converting to Christianity is to become "religious." But Bonhoeffer wants to keep all those rituals and doctrines as a secret, as a mystery and gift for the church. All the world should see, on the outside, is a "secular," "religionless," being-there for others. The church should become silent. No more propaganda. No more sales pitches. It's time for the church to shut up and start "being there" for others. So when you convert to Christianity you convert to this "being there for others." You don't convert to metaphysics or ritual. Conversion doesn't mean you start going to church on Sundays. Yes, it's true that these things sustain Christians in their closets--through mystery, faith, and gift--but this isn't self-evident. And it's not a lump it or leave it deal. These disciplines only increase in "degree of significance" as your faith, curiosity, and need progresses. The primary confession of the Christan before the world is the deed which interprets itself. If this deed is to have become a force, then the world will long to confess the Word. This is not the same as loudly shrieking out propaganda. This Word must be preserved as the most sacred possession of the community. 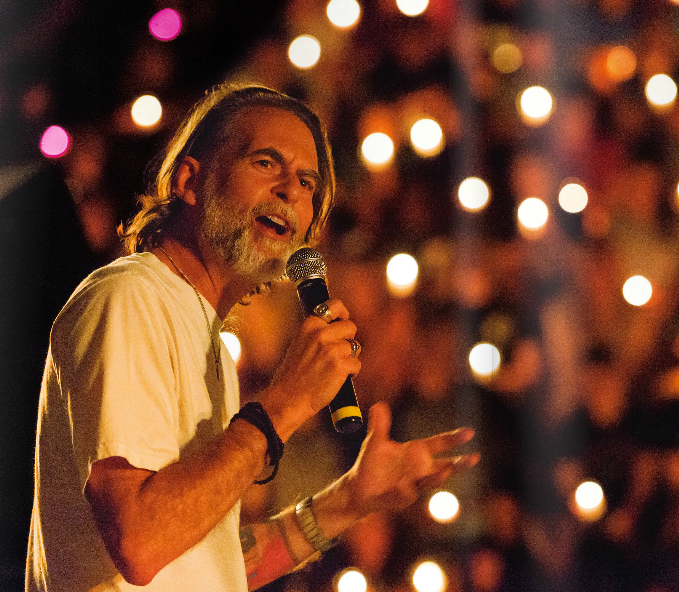 This is a matter between God and the community, not between the community and the world. It is a word of recognition between friends, not a word to use against enemies. This attitude was first learned at baptism. The deed alone is our confession of faith before the world. Thank-you, Richard, for your continuing eloquence in unfolding this powerul theme, and to George for the beauty of TSE's lines. I have a good friend who is, perhaps, the most ethical person I know AND who is community-minded and 'there' for people when they need a friend. But she is a humanist. Her great unspoken challenge to me has always been: what does my Christian faith offer that my friend cannot? Is my friend's applied humanism a modern-day 'secret art' (Ex 7:11) which mimics the genuine article, a grand quest ultimately flawed by human nature, or a real alternative to faith? I get a sense of a hint followed by a guess in this article - a path less travelled (to mix my metaphorical poets!) - a starlight truth which can only be perceived in the looking away. What a journey! Can't wait until the next blog! Richard, I've been enjoying and profiting greatly from this series, so thanks a lot. I was going to raise a question about whether this account of prayer and worship as the 'arcane' or 'secret discipline' tended to interiorize and individualize it too much, but I see in that last excerpt that perhaps he thinks that prayer and worship to be quite at home in a corporate setting -- just not in the sense that it is seen as 'outreach' but is the gathering of 'confessers' for the act of invocation that makes the love of neighbour Christian rather than humanist. It rides on the grace of God and these are the people that know it, and act accordingly: humbly, modestly, and yet boldly serving other for the sake of the other, and knowing that in this they serve God. Incidentally, having spent the last year engrossed in Barth's 'Doctrine of Reconciliation' I must say that I think he and Bonhoeffer are more on the same page with this than the charge of 'positivism' might imply. In fact, I think that had Barth finished his ethical section we might see some very similar themes (he in fact structured his account of Christian ethics around invocation--the Lord's Prayer). A shame neither of them could finish these works. 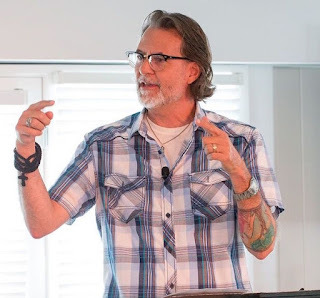 I am curious that it may be our job in our time to put these things to practice, not because they are some kind of long-held secret to the faith, but because this may be what the Christian faith looks like in this time and place. In any case, I think we do well to follow up on the provocation of Bonhoeffer (and Barth) while also keeping close attention to their caveats and qualifications. Your posts have been very helpful in that regard. Thanks. Thank you so very much for providing this thoughtful content and space. "Faith is not a law. Rather, faith is a gift. Therefore, faith's meaning cannot be found within the context of its public enforcement. Instead, faith's meaning, like any gift's meaning, can only be fully understood by the receiver of the gift, who cherishes it for reasons she alone knows."